Our mission, team, awards & press articles. 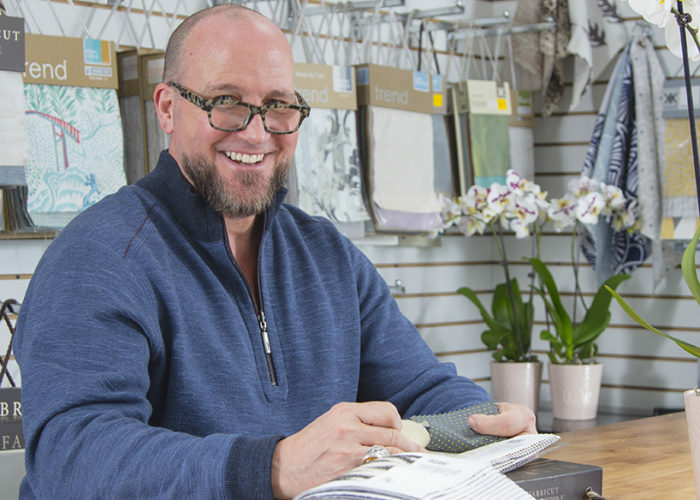 Our mission at Sew Beautiful is to help customers complete beautiful rooms with the highest quality window coverings and soft furnishings while providing unparalleled customer service. 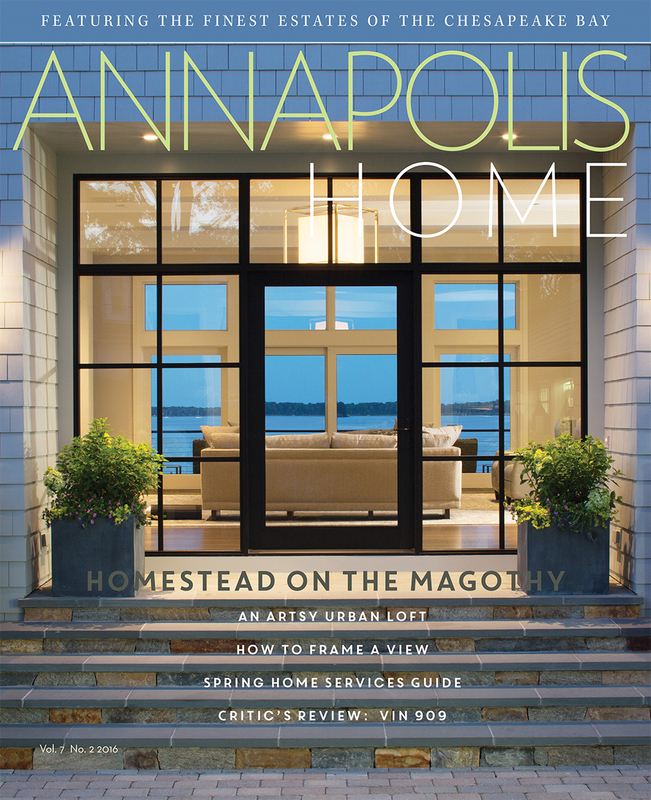 We strive to be the expert resource and leading design firm in the greater Annapolis area delivering the best design solutions to the most challenging projects. 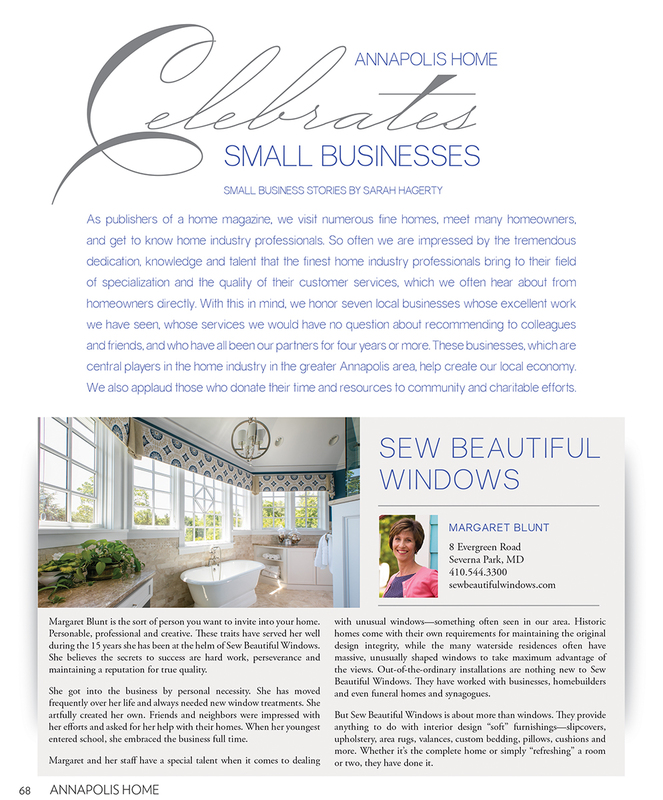 Established by Margaret Blunt in 2001, Sew Beautiful has been designing and fabricating custom window treatments, bedding, cushions and other soft furnishings for homeowners in the greater Annapolis area. 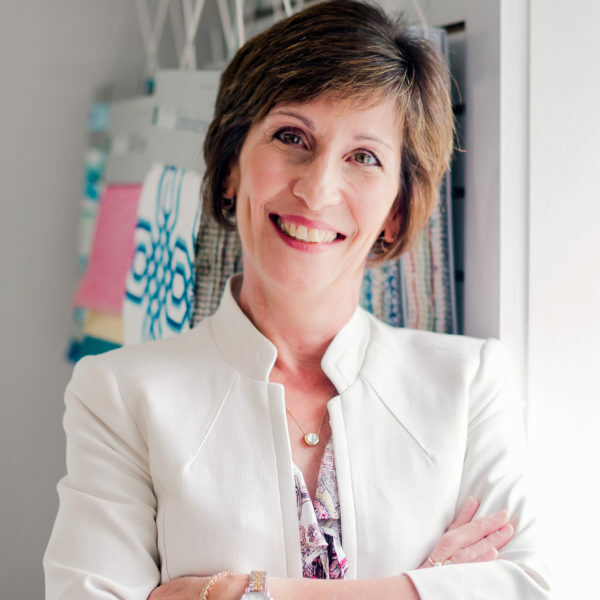 A true perfectionist, Margaret takes pride in Sew Beautiful’s superior designs, products and customer service. 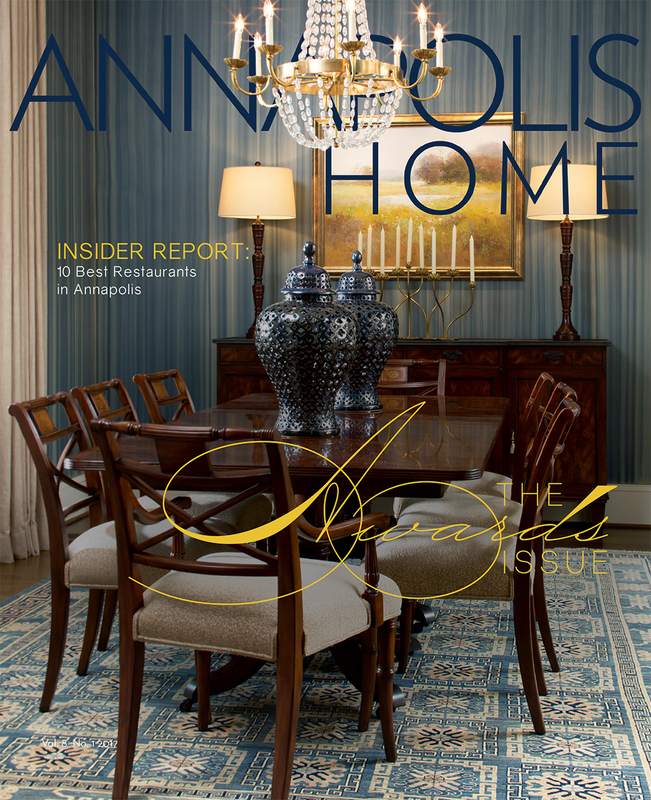 All is made possible by her staff’s utmost attention to detail and teamwork. If it’s not perfect, we’ll do what it takes to make it right. I started Sew Beautiful in 2001 as a means of combining my entrepreneurial business spirit with my creative side. 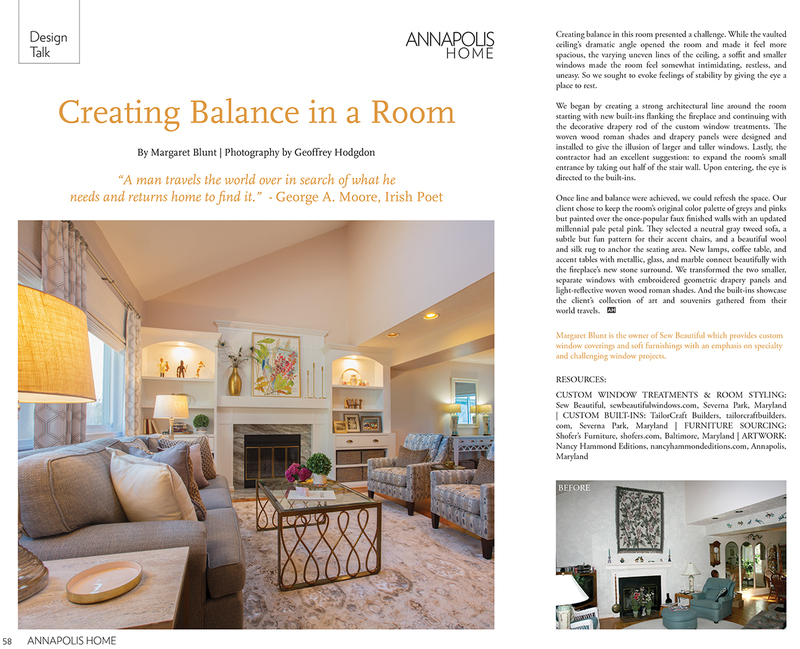 Design and fabrication began in a workroom in the basement of my home and has expanded into a business that has touched more homes than I could have imagined. 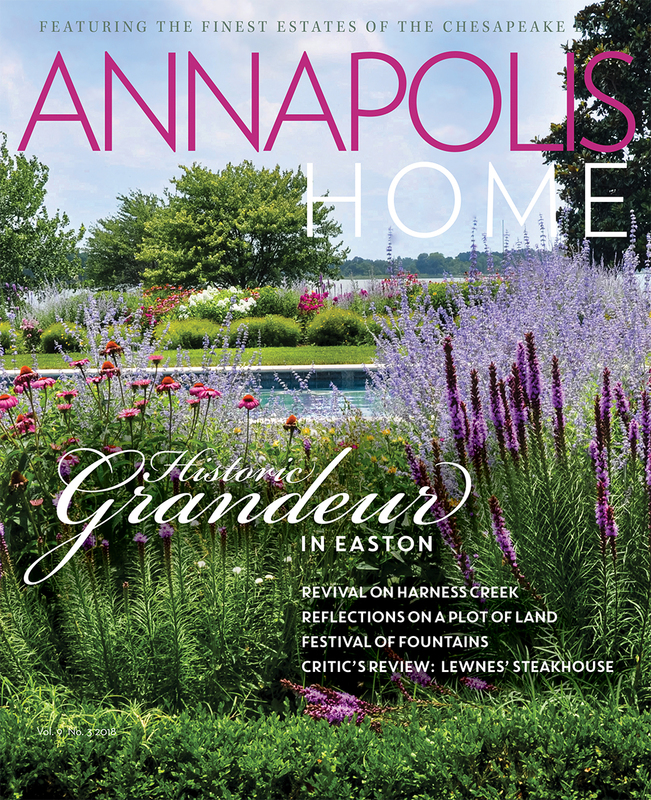 I’m proud of the design eye and attention to detail that my team brings to each and every project, and grateful for every opportunity to interact with the greater Annapolis community. I’ve always enjoyed decorating and changing spaces both indoors and outdoors, even as a child. As an avid gardener, the evolution and growth of a garden is exciting to me. The same can be said for interior design. I love creating beautiful rooms, one layer at a time. 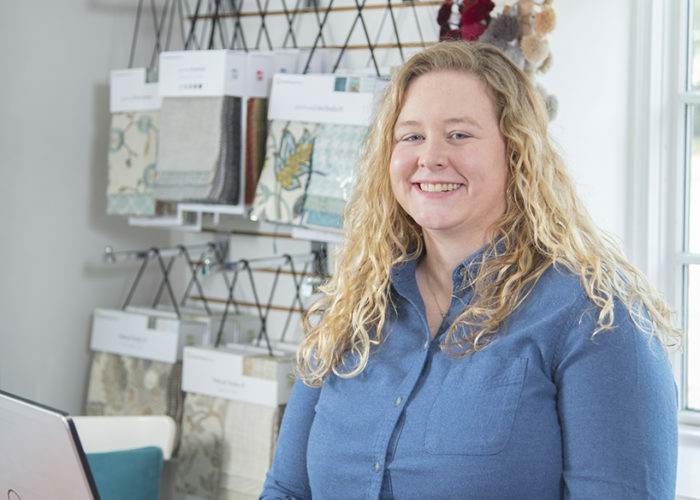 Having worked for nearly a decade with a well-known Annapolis interior designer, I am pleased to join the Sew Beautiful Team as Project Manager and share my knowledge and experience in design administration. Though you may be surprised to learn I have an archeology degree from St. Mary’s, I feel my studies have prepared me well for the attention to detail required in each and every project. 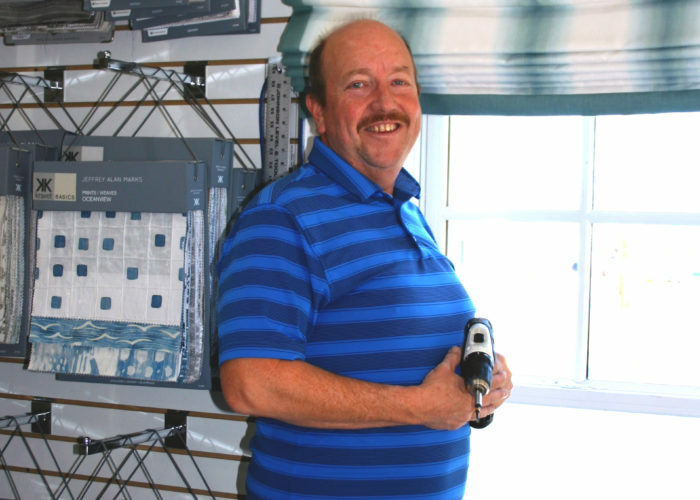 I have been installing custom window treatments for over 25 years and have worked with Sew Beautiful for more than a decade. 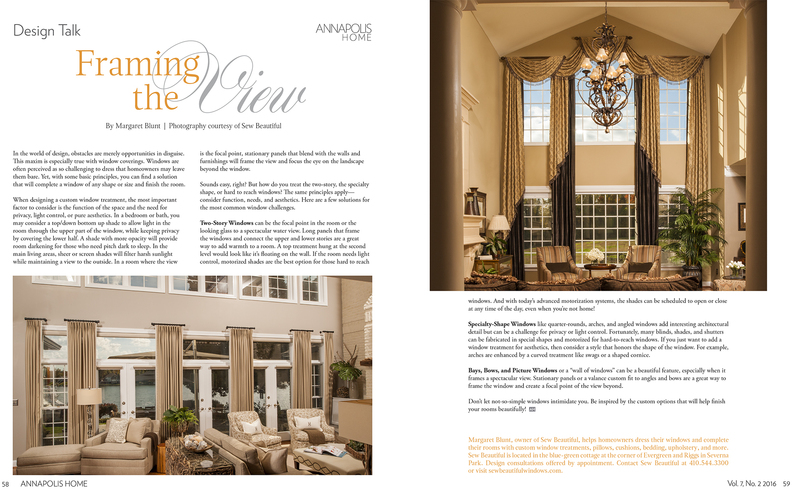 What I love most about my job is being able to experience first-hand the customer’s satisfaction with a beautifully completed project. One might argue that I have the best part of the project as installation is the final “reveal”! 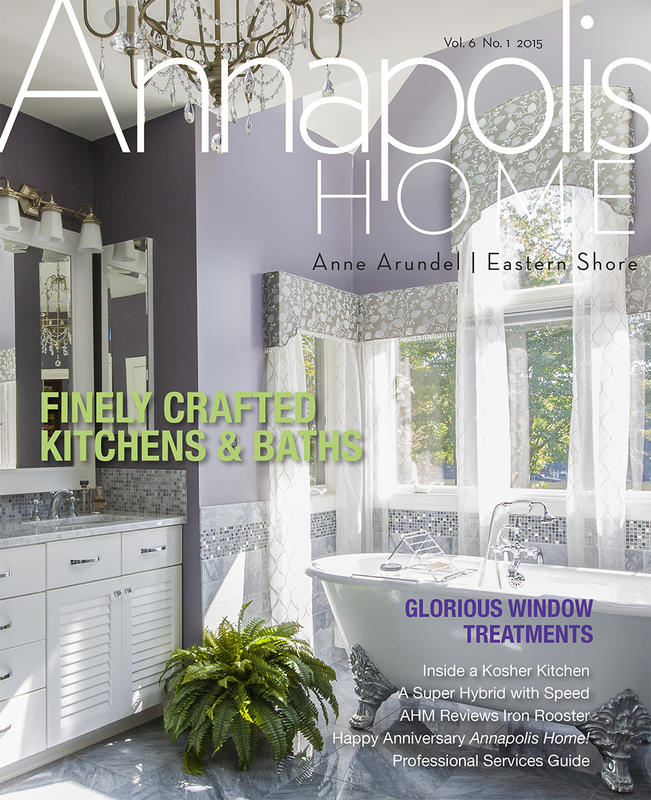 Click on the magazine covers to read our feature articles.